Recently I was approached by a person I had photographed years ago for a stock assignment. 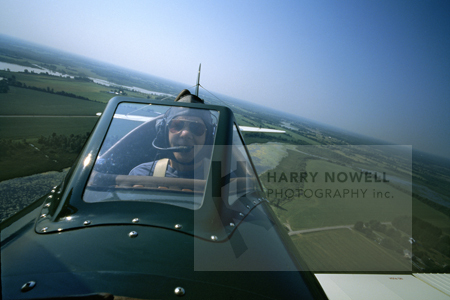 He had built his own biplane and I photographed him from the passenger seat as we sailed through the skies. He wanted reprints and I offered a digital file and permission to reproduce… He wanted to print the photo at home. Printing is tougher than people realize and I often hear “the printer is broken” or “the file is bad.” Usually, the problem is somewhere else… and this month we help you navigate the printing process to help you decide what to do. Many people have trouble getting the colours correct on their home printers. There are often many options hidden in the printing process and the wrong options can lead to poor printing or poor archival longevity. Often the printer software argues with file editing software – the photo editing software and printer software often ‘fight over’ who controls the colours during the printing of the file. It’s important to investigate and select the correct settings in the printer set-up depending on your specific scenario. The inks and paper you buy will all react differently to each other. A very matt paper will show colours very differently than a glossy paper – even from the same file with the same ink. A vast option of papers exists for your printer. Each one is unique and will react differently to ink. The ink you buy will also have an effect – not only on how it looks but also on how long the print will look before it fades. Quality inks will last a long, long time and be billed as archival. Cheap inks and paper can fade/discolour quickly. The difference in colour management between digital files (RGB colour space) and traditional prints (CMYK colour space) can add complications to the printing process. Most consumer printer software will automatically convert the file to the CMYK space – hopefully they will do a good job! You can control the level of automation in the printer dialogue boxes. 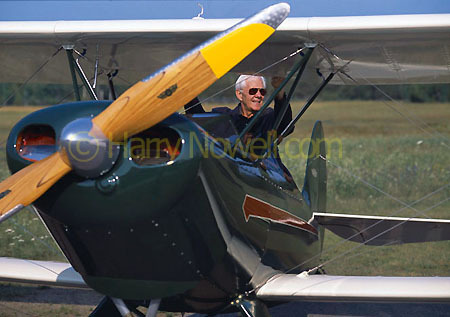 Biplane photography – printing from home! Inexpensive monitors are limited in their ability to show in-depth colour and resolution. Good monitors are expensive, though. A quality monitor should accurately show the colours of a file… if it is well calibrated. Calibration is important. Remember going to a department store and seeing a wall of TVs all playing the same show? And they looked different – some were more red, some had more blue? That’s calibration at work! To calibrate your monitor it’s best to buy a calibration tool and calibrate your monitor often, especially when the quality or quantity of light changes in your office. Like anything, printing has a qualitative side to it. Your style and preference will influence the final print. Currently I don’t do ANY of my own printing – it’s complicated and I leave that to people with more expertise than I. If you do have the skills, time and equipment to do your own printing this is a perfect scenario. If you hire a printer to make your ‘important’ prints there should be some discussion about your preference for the final print. 1. Read this article on home printing and the complications involved. 2. Try making your own prints at home – it can be frustrating and mistakes will happen. But with time and effort it can rewarding. Try printing at home but understand that their are challenges beyond the file and the printer! The biplane pilot tried printing at home and sent a thumbs up. Phew!